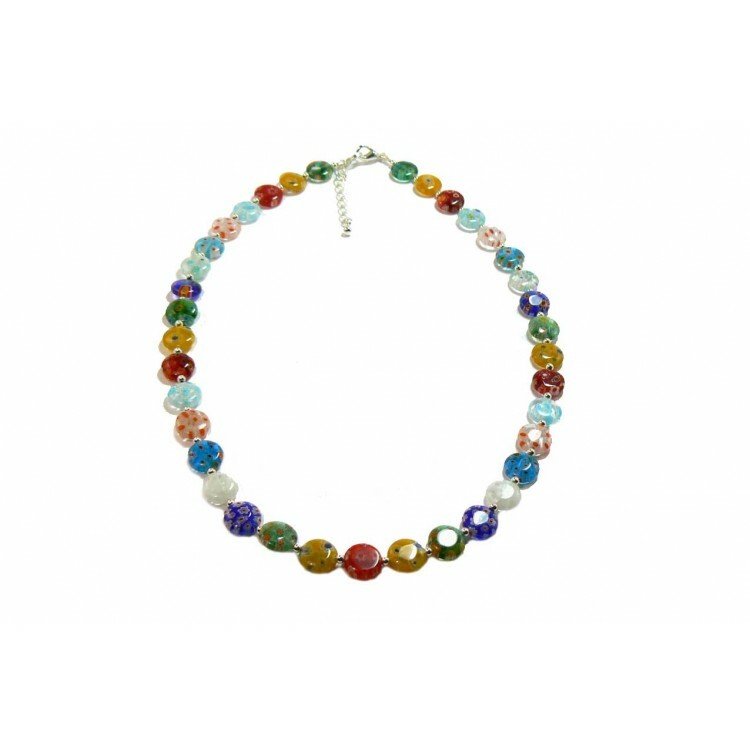 This millefiori necklace measures 46cm (18") long and I have added a 4cm extension chain so that it can be worn longer if necessary. 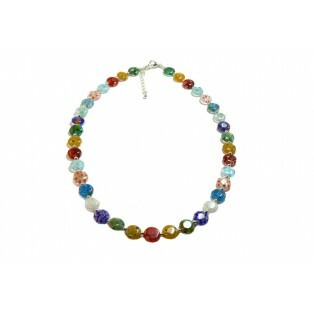 I have used 8mm multicoloured button shaped beads separated by tiny silver plated spacer beads. The clasp and extension chain plus the spacer beads are "Nickel Free" to comply with EU regulations.